"These guys really are the best at what they do: homing in on inspired leaders and coaxing them into sharing how they achieve extraordinary results. Sit up and take notice: There's some powerful mojo at work in this book. And it's a cracking read, too." "This book is not just for reading; it's for living by, thinking by and doing by - it's not for the faint of heart; it’s for those who are prepared to lead." "A useful and readable account of how some extraordinary business leaders operate outside 'leadership as usual'". Extraordinary leaders share innovative ideas for achieving extraordinary results. In the face of dramatic change, traditional forms of leadership have become obsolete. 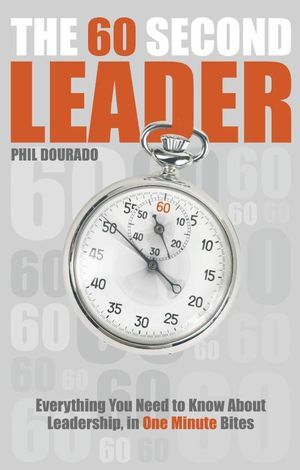 Phil Blackburn-cofounder of the Inspired Leaders Network-and business writer Phil Dourado distil the insights of innovative business leaders on their new responses to today's challenges. They show readers how to develop trust and build relationships; create a "Thank God It's Monday!" work culture; focus on distinction rather than competition; deliver a superior customer experience; and lead effectively through change. 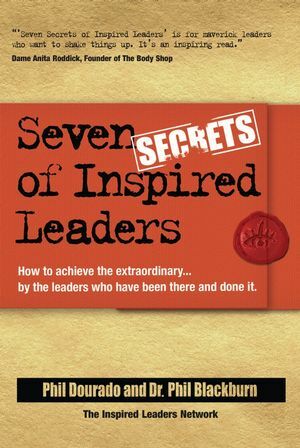 Full of fresh ideas and practical advice, Seven Secrets of Inspired Leaders will help leaders motivate and align any organization to achieve success. Dr. Phil Blackburn is the the co-author of two books on innovation and economic growth. He is the Inspired Leaders Network’s co-founder. Phil was CEO of the government agency in charge of economic development for a large part of London, the UK's capital. He was a judge of the Millennium Design Awards and helps judge the National Business Awards. He is Chairman of Inspired Movies, a feature film production company. Phil Dourado is a writer, editor & business analyst. He specializes in emerging forms of leadership and in business, consumer and social trends. He has written for a wide range of national newspapers and magazines on both sides of the Atlantic, from New Scientistto GQ. He has also edited two B2B magazines, one in the US, the other in the UK. Phil is the Inspired Leaders Network’s Chief Story Teller. The Seven Secrets (plus one). Secret 1. Leadership is Viral: Pass it on. Secret 2. You’re not fooling anyone. Secret 3. They have to want to follow you. Secret 4. Make a difference. Secret 5. Lead from the edge. Secret 6. There’s nothing out there. Secret 7. The impossible isn’t. Conclusion and Bonus Secret 8: Get an NBA, not an MBA.